First, the cover art you see here is not the cover that DC chose to use with this issue. Batman #651 is another “One Year Later” title. 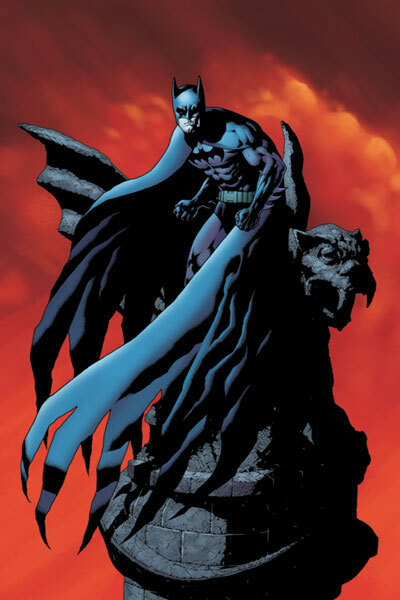 This issue continues the 8 part story arc that started in Detective Comics 817. Evidently, this storyline is going to cross over between both Batman and Detective Comics. Normally, the Revolution despises crossovers that force you to purchase titles you do not normally collect. However, for something as large as “One Year Later,” the Revolution is willing to forgive DC this time. Rating: 3 Night Girls out of 5. Synopsis: We start with the civilian perspective of the end of Detective Comics #817, when the Bat Signal was cranked up for the first time in year. We read various the thoughts of various civilians, including returning character Jason Bard, as they see the Bat Signal. We then cut to Batman and Robin entering the Vanguard Building. They split up and look for Ivy. They both fight their way through some deadly jacked up plants. Batman finds Ivy first. She has all the CEO’s captured in the boardroom. Ivy then captures Batman with some of her ivy plants. Ivy goes on her rant about how these Corporations are destroying the environment and she is going to stop them. Ivy also says that she no longer views Batman as an enemy and her goal is no longer to defeat him, but rather to protect the earth in order to create a better world. Batman then uses a pesticide gas to kill the plants binding him. Batman tells Ivy that Robin has now gotten to the building’s water system and placed a powerful defoliant in the sprinkler system. Batman tells Ivy to surrender and she does. The issue ends with Batman and Robin back at Commissioner Gordon’s office. Gordon gets a call that the villain, Magpie has been killed. The Good: Robinson continues to his story at a nice pace. I love how there was no dialogue except for 5 very short sentences in the 11 pages starting when Batman and Robin arrived up to when Batman finds Ivy. It made the breaking into the building and fighting their way through the building much cooler than if there was a bunch of unnecessary chatter. Robinson has a good handle on Batman’s cold, calculating and cunning personality. It really shows through in the final scene with Ivy. Robinson’s dialogue is also well done. Batman only uses enough words necessary to convey his thoughts and no more. Robin is a bit of a chatterbox and has more one-liners. I also like Robinson’s Gordon. The art is very nice. I like Kramer’s pencils and Champagne does a nice job inking. The art is clean and detailed. Kramer definitely draws a good Batman. Very traditional and nothing freakish or exaggerated as Batman may sometimes be drawn. The Bad: Even though I like where Robinson is going with this story, Batman #651 did not live up to the strong start of Detective Comics #817. The story was ramped up and running in Detective Comics that it got to Batman #651 and just kind of stalled a little bit. It just felt like a lag in the story. Compared to how much happened in Detective Comics it felt like not much happened at all in this issue. However, I’m still interested in Robinson’s story and this issue did not dampen my enthusiasm for Detective Comics #818 to read the 3rd part of this story.